The Taliban today admitted covering up longtime leader Mullah Omar’s death for two years, saying they had wanted to keep it secret until foreign forces ended their fight against the militants. The group confirmed in July that Omar had died without saying when, deepening internal divisions with many insurgents accusing the leadership of keeping them in the dark while issuing statements in his name. The admission of a cover up was buried in a lengthy biography of new Taliban chief Mullah Akhtar Mansour, apparently published to boost his image and quell the growing internal rancour over his appointment. 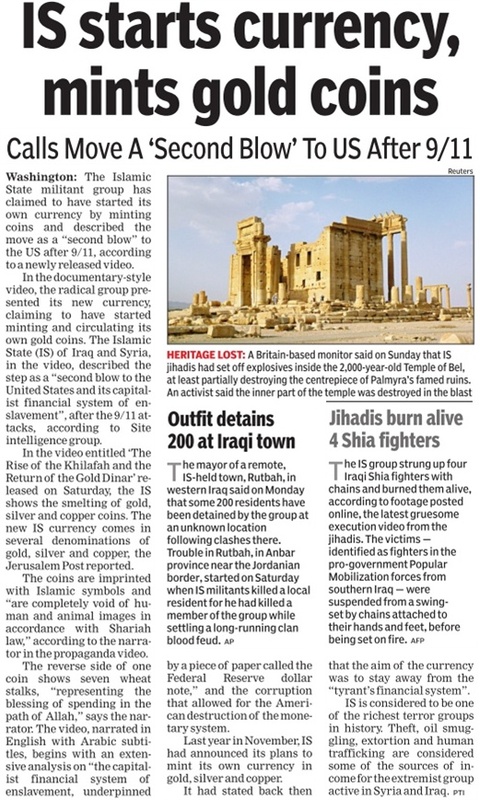 “Several key members of the supreme leading council of the Islamic Emirate (Taliban) and authentic religious scholars together decided on concealing the tragic news of passing away of (Omar)... and keep this secret limited to the very few colleagues who were already informed of this incorrigible loss,” said the biography, which ran to nearly 5,000 words. For the first time, the Union Government offered its own perspective on the contentious ‘one rank, one pension’ for the retired soldiers with Finance Minister Arun Jaitley saying the pension could not be revised annually. The Centre could not give “unreasonable concessions” merely on emotions, the minister said. 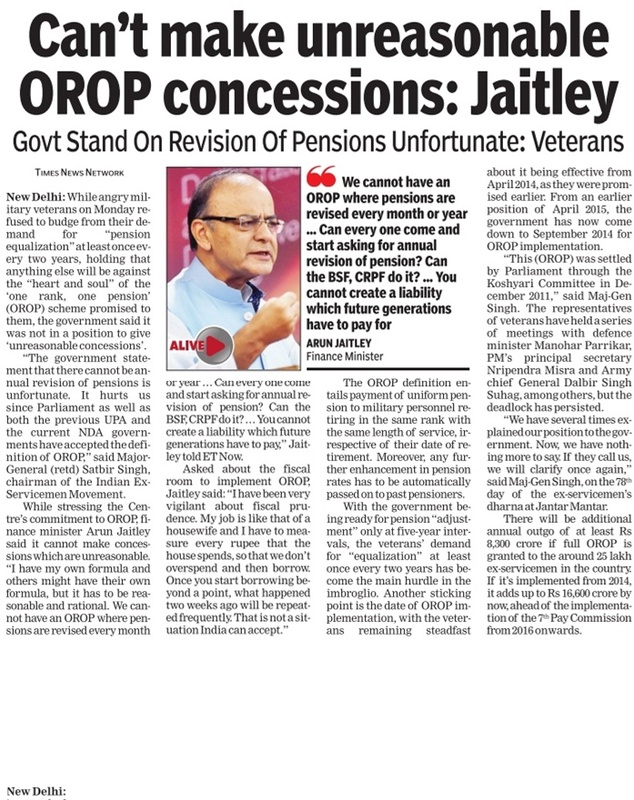 The government, said Jaitley, was committed to OROP but the “only difficulty” was “arithmetical translation”. “We will implement the principle but then let us not create a situation which may set (a precedent for) other segments of the society,” he said. “Annual revision in pensions does not happen anywhere in the world,” Jaitley told a business news channel. 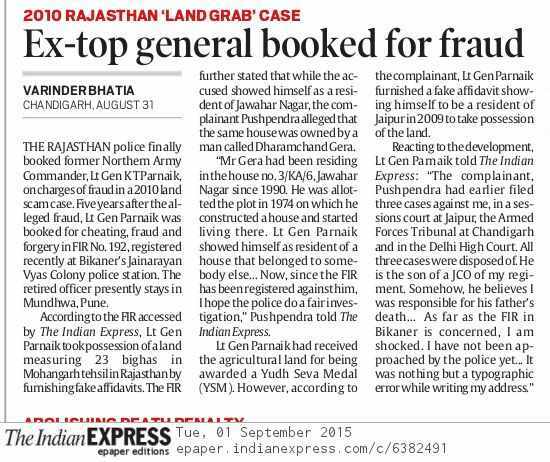 “I have my own formula on what OROP means. Somebody else may have their own formula but it has to be within reasonable and rational criteria. 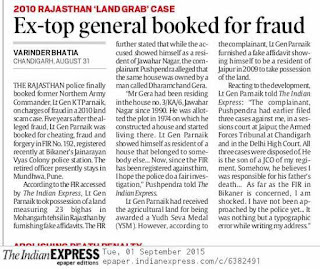 You can’t have an OROP where pensions are revised every month or every year,” he said. The ex-servicemen, on dharna at Jantar Mantar for the past 78 days, have been asking for OROP without any dilution in the recommendations made by the Bhagat Singh Koshyari Committee. The minister, however, hinted at benefits for the soldiers retiring early. “We want to safeguard the interests of the soldiers who retire around 35 or 38 years. The society must protect them and, therefore, some higher pension on a special formulation is understandable. But it can’t be revised annually,” he said. Jaitley said the Indian political set-up that thought rationally would not make “unreasonable concessions” merely on emotions as any such move could set a precedent for others to seek similar benefits. "Can the BSF do it? Can the CRPF do it? 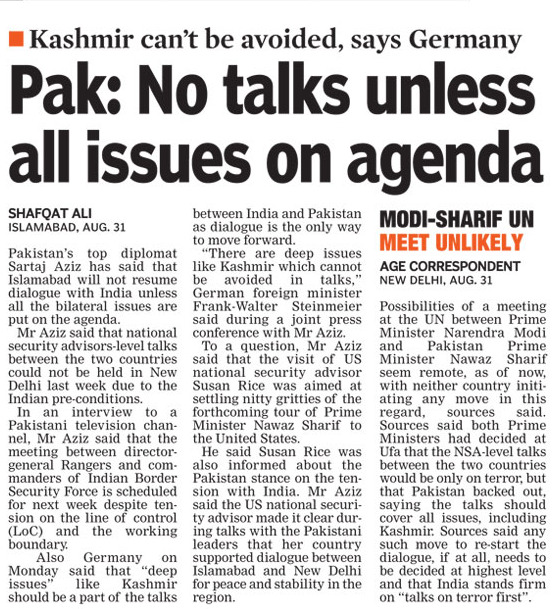 Obviously, the thinking India will say it’s not the right step. 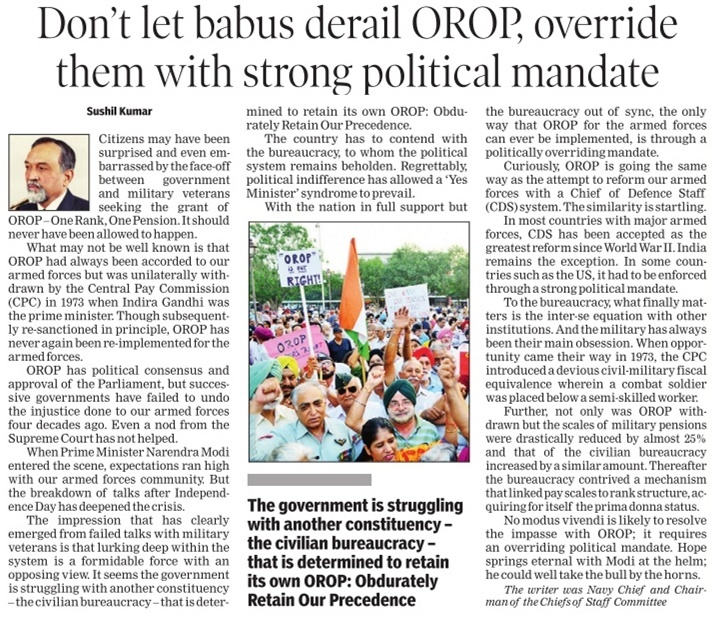 You can’t create a liability that the future generations will have to pay... We should certainly be able to implement OROP but on a rational ground,” he said. 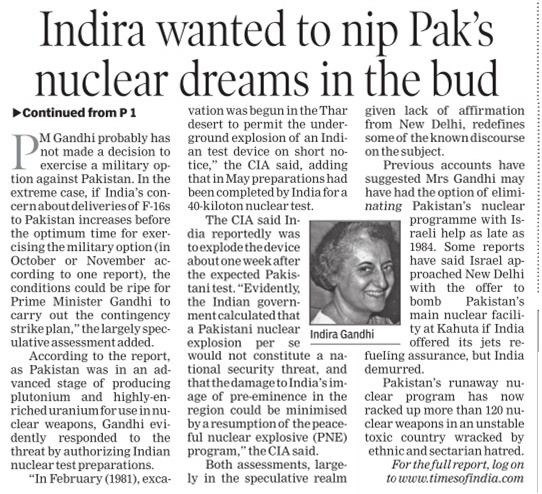 After returning to power in 1980, ex-Prime Minister Indira Gandhi had considered a military strike on Pakistan’s nuclear installations to prevent it from acquiring weapon capabilities, a declassified CIA document has claimed. Such a consideration by her was being made when the US was in an advanced stage of providing its fighter jets F-16 to Pakistan, says the September 8, 1981, document titled ‘India’s Reaction to Nuclear Developments in Pakistan’, which was prepared by the Central Intelligence Agency (CIA). A redacted version of the 12-page document was posted on the CIA website in June this year, according to which the then Indian government led by Gandhi in 1981 was concerned about the progress made by Pakistan on its nuclear weapons programme and believed that Islamabad was steps away from acquiring a nuclear weapon. The US had the same assessment. 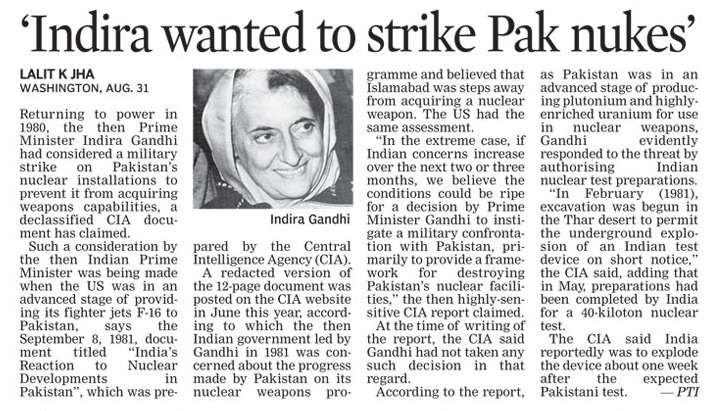 “In the extreme case, if Indian concerns increase over the next two or three months, we believe the conditions could be ripe for a decision by PM Gandhi to instigate a military confrontation with Pakistan, primarily to provide a framework for destroying Pakistan’s nuclear facilities,” the then highly sensitive CIA report claimed. At the time of writing of the report, the CIA said Gandhi had not taken any such decision in that regard. According to the report, as Pakistan was in an advanced stage of producing plutonium and highly enriched uranium for use in nuclear weapons, Gandhi evidently responded to the threat by authorising Indian nuclear test preparations. “In February (1981), excavation was started in the Thar desert to permit the underground explosion of an Indian test device on short notice,” the CIA said, adding that in May, preparations had been completed by India for a nuclear test. It said India reportedly was to explode the device about a week after the expected Pakistani test. New Delhi: The second Indo- Pak war in 1965 was started by the Pakistani Army. The war took place after Pakistan launched a covert operation across the ceasefire line in Kashmir. 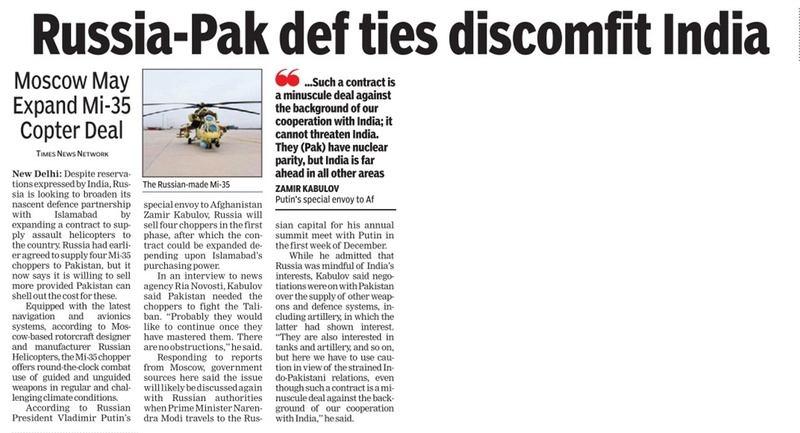 Pakistan attacked first by occupying the Kanjarkot area in Kutch. It subsequently opened new areas of war in Jammu and Kashmir. The war ended with UN intervention with both sides moving back to pre-war positions. 1.The 1965 war between India and Pakistan is said to be the the one of the most fiercely fought wars to be fought after World War II.The war was fought on the western front of India starting from Rann of Kutch to Kashmir. 2. It all started in the month of January 1965 when Pakistani Army started 'Operation Desert Hawk' in the Rann of Kutch. 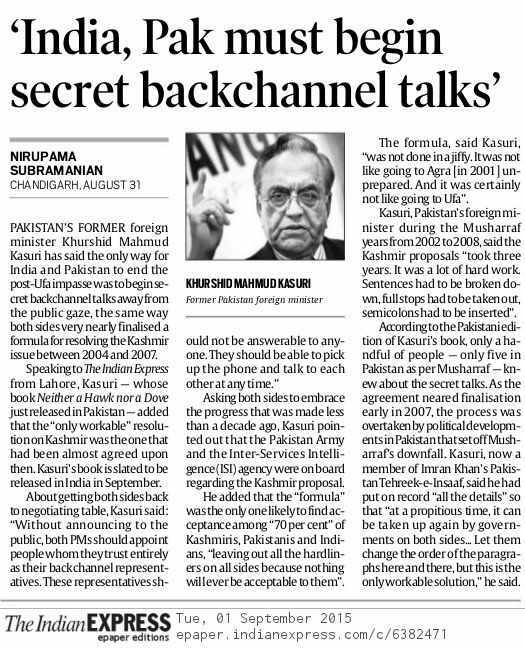 The main motive of the Pakistan army establishment was to keep the Indian forces engaged in Kutch so that the Pakistani Army could launch an attack in Kashmir. 3.After the misson in Rann of Kutch a force of around 33,000 infiltrators who were mostly from the Pakistan Army crossed the Line of Control (LoC) from Kashmir in the month of August and gave it the name 'Operation Gibraltar'. 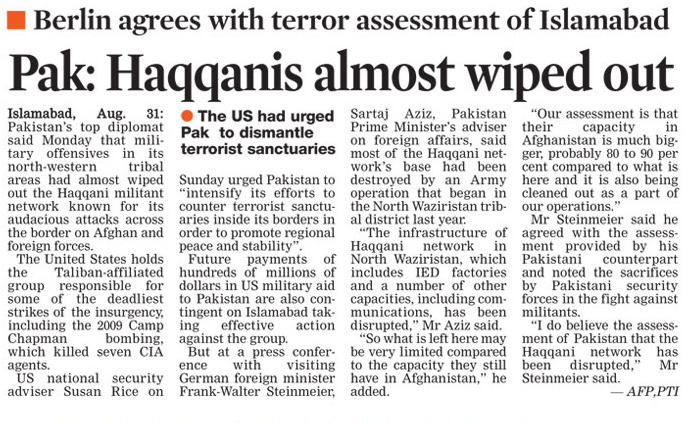 However it’s a bitter truth that the Indian defence establishment came to know about the aggression of Pakistani soldiers only after a week. 4. It was on 28th August 1965, that Indian army opened up its front and went eight kilometers inside the Pakistan occupied Kashmir (PoK) and took control of strategically important Haji Pir Pass. It was an important victory for Indian forces since the control in Haji Pir Pass meant that Indian Army can take control over Muzzaffarad. 5. The Pakistani Army also started 'Operation Grand Slam' on 01st September in the Akhnoor sector of Jammu & Kashmir. The idea was to cut all supply line of the Indian Army and take Akhnoor under thier control. The PAkistani Army started heavy shelling in the Chamb and Jurian region.